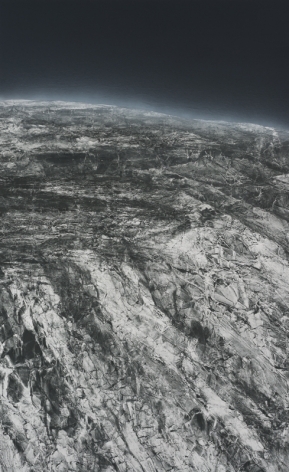 Sundaram Tagore Chelsea presents The Art of Paper, an exhibition exploring the potential of this often overlooked medium. 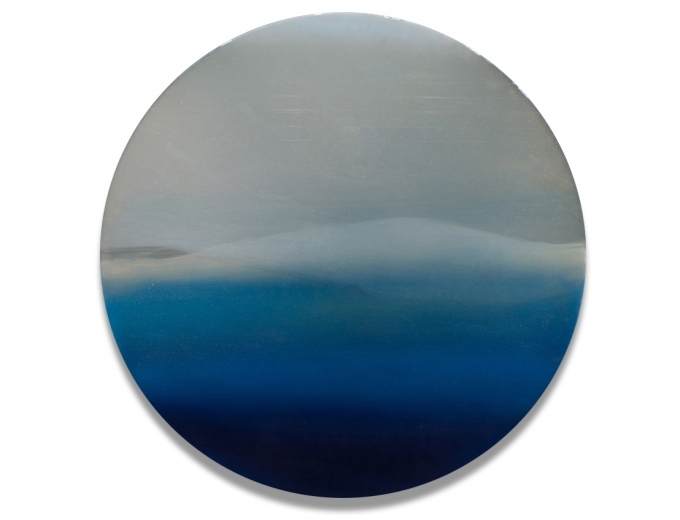 Each of the featured artists employs an entirely unique approach, demonstrating a diverse range of techniques and subject matter. 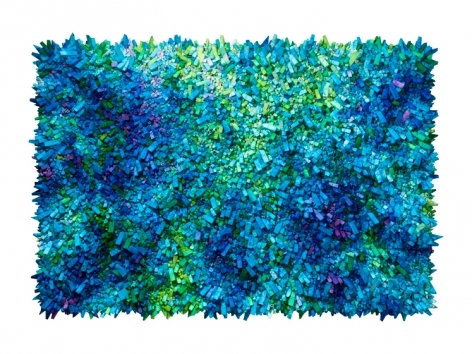 Korean master Chun Kwang Young presents sculptural mulberry paper compositions from his acclaimed Aggregations series, which is the subject of a solo exhibition at the Brooklyn Museum opening November 16. For his Aggregations, he wraps small triangular forms in antique mulberry paper, forms inspired by childhood memories of medicinal herbs tied into packages and hung from the ceiling of the local doctor’s office. Chun’s preference for mulberry paper or hanji is significant, as it embodies the essence of Korean history and imparts an almost spiritual power, even in its most mundane applications. Chun sources his hanji from century-old books, which further imbues his work with formal elements of Korean culture. 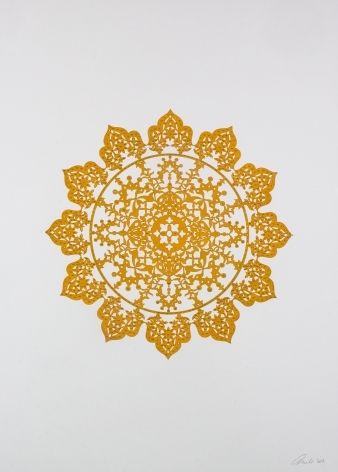 Pakistani-American artist Anila Quayyum Agha, showing at the gallery for the first time, presents wall-mounted laser-cut encaustic paper works embellished with embroidery and beads. The intricate pieces are framed in shadow boxes, allowing light to pass through the cut-outs and cast patterned shadows. As a special presentation, one of Agha’s large-scale immersive light installations will also be on view. 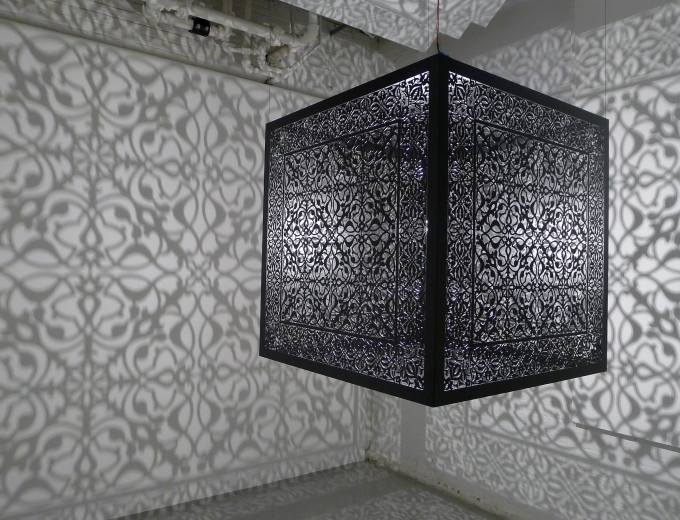 The artist laser cuts elaborate patterns into suspended three-dimensional cubes lit from within, which cast lace-like, floor-to-ceiling shadows. The designs allude to the richly ornamented public spaces, such as mosques, Agha was excluded from as a female growing up in Lahore, Pakistan. 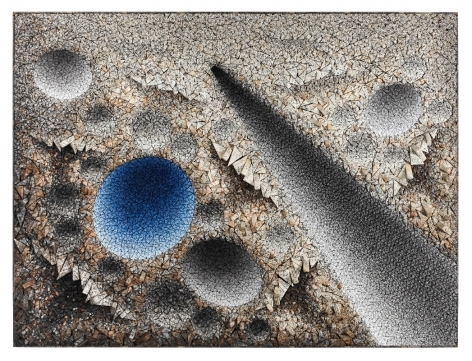 Agha’s work will also be on view alongside other internationally recognized artists, including El Anatsui, Kerry James Marshall and Carrie Mae Weems, in Parking on Pavement, presented at The School, Jack Shainman’s upstate exhibition space in Kinderhook, New York, Nov. 17 to March 2, 2019. 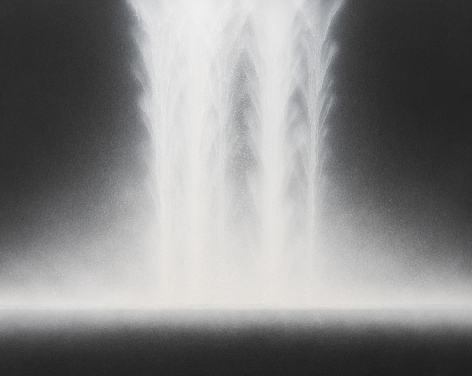 New York-based artist Miya Ando is showing works on paper that offer nuanced interpretations of the ephemeral, abstract metal paintings she is known for. This selection is from her Gekkou series, inspired by the moon—a celestial body that emits no light of its own, but casts brilliant reflections from the sun. Here Ando incorporates silver leaf into a palette of soft pinks, yellows and blues to express the subtle, light-reflective qualities of moonlight. 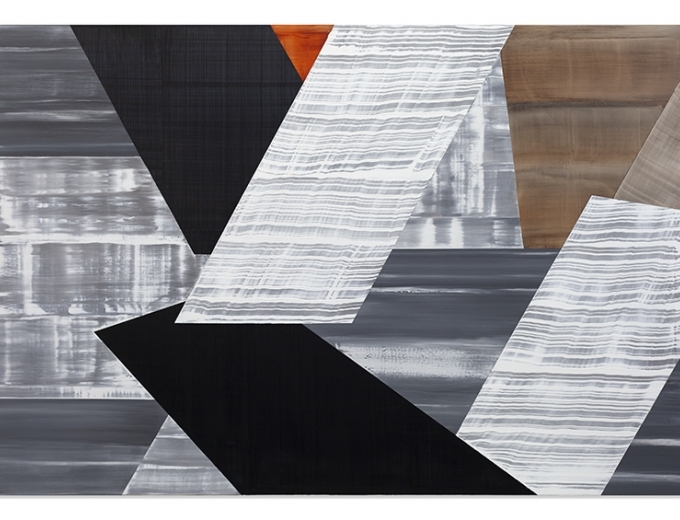 These radiant new works expand on the artist’s interest in light, reflection and time. Ando’s work was recenlty on view alongside paintings and installations from Kandinsky, Motherwell, Frankenthaler and Warhol in True Colors, an exhibition at the Nassau County Museum of Art. 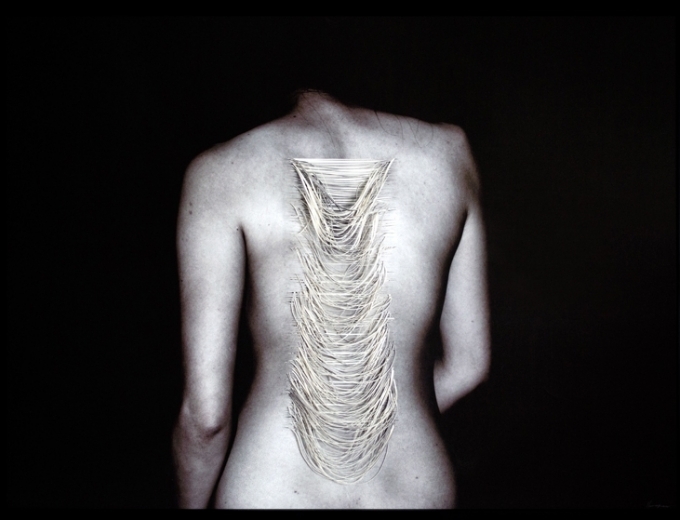 The works of Delhi-based Scottish artist Olivia Fraser are rooted in the artist’s fascination with and practice of yoga and the ways in which yogic meditation involves visualizations of the garden, particularly the sahasrara or thousand-petaled lotus, which serves as a visual aid in reaching enlightenment. Greatly influenced by early 19th-century Jodpuri painting, Fraser’s intricate, gem-colored works on traditonal wasli are infused with historical iconography and archetypal language. 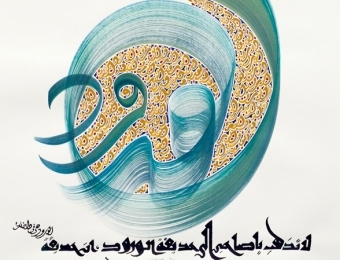 Classically trained calligrapher Hassan Massoudy inscribes oversized letters in vibrant colors on paper to create visually compelling works that bring traditional Arabic script into a contemporary context. The Iranian-born, Paris-based artist sources words from Eastern and Western authors, poets and philosophers. He selects a passage, which he writes at the bottom of the composition, then extracts a single word, enlarging it to monumental proportions across the surface. 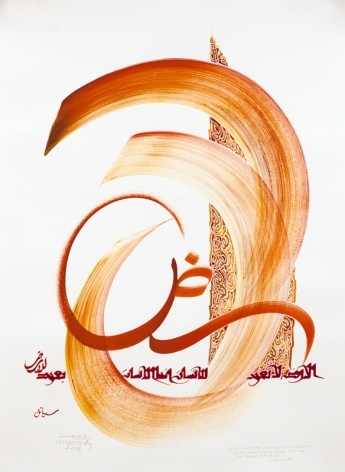 Massoudy’s work is also on view in Infinite Present: Revelations from Islamic Design in Contemporary Art though November 10 at Gallery 344, Cambridge Arts Council, Massachusetts. 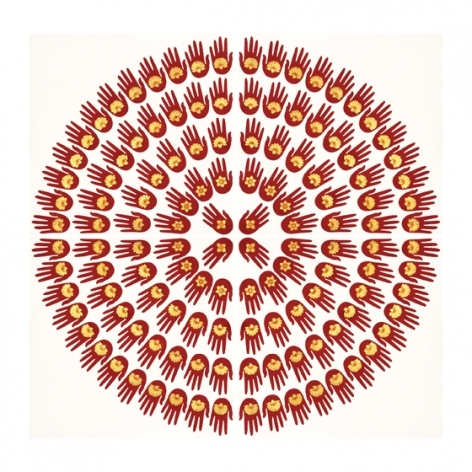 Ricardo Mazal, one of Mexico’s most prominent contemporary artists, is known for his multidisciplinary work inspired by investigations into sacred burial rituals. 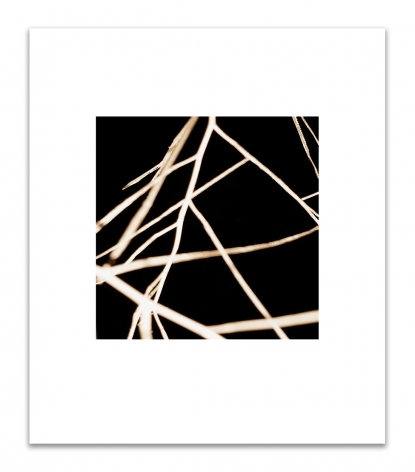 He is showing abstract, photo-based prints of tumbleweeds he shot at night using a flash. For Mazal, photography is an important impetus to his painting process, which he likens to a bridge that links reality and abstraction. 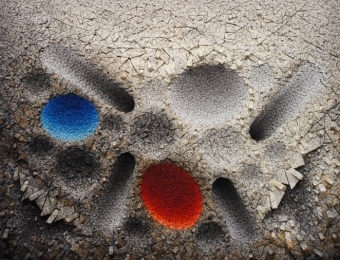 Mazal just closed a major retrospective at the Center for Contemporary Arts in Santa Fe. The exhibition showcased large-scale paintings, photographs and an interactive video installation. 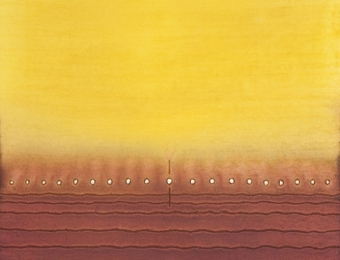 Sohan Qadri (d. 2011) was one of the few modern painters of note deeply engaged with spirituality. On view are his vibrant, sculptural paintings made from thick intaglio paper which he would carve in stages while applying inks and dyes. 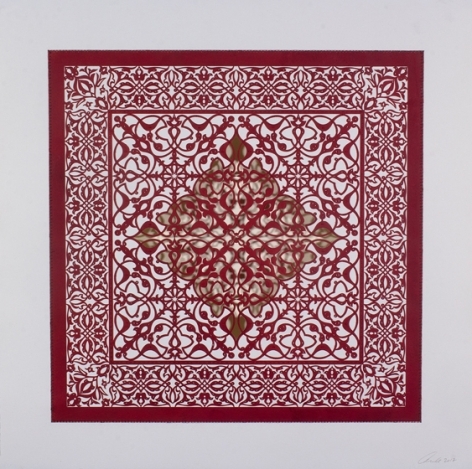 In the artist’s hands, paper was transformed from a flat surface into a three-dimensional, near textile-like material. 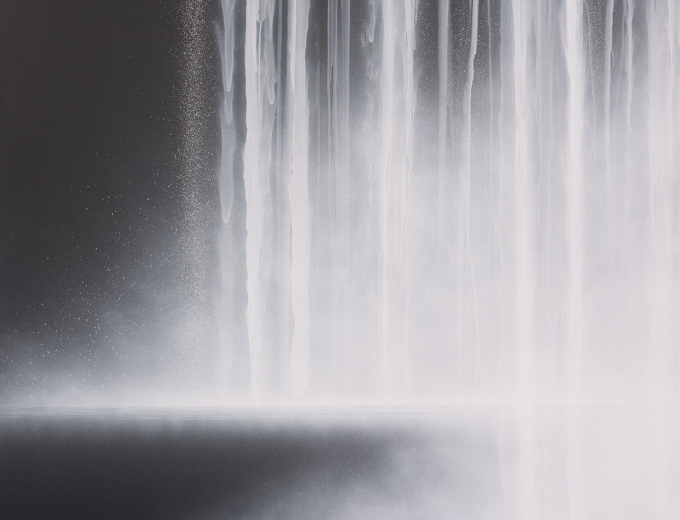 To create his sublime waterfall and cliff images, Japanese painter Hiroshi Senju combines a visual language rooted in Abstract Expressionism, graffiti and drip painting, with traditional Japanese materials, including bespoke washi (mulberry paper) from a master papermaker in Japan and pigments made from minerals, ground stone and shells. 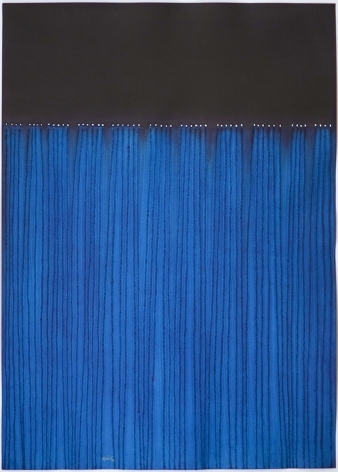 Because gravity plays a significant role in how he applies pigment to paper, the physical properties of washi—its strength, ability to resist tears when damp, and its smooth surface—are integral to the artist’s process. Senju recently completed two monumental paintings for Kongobuji Temple at Koyasan, Japan. These epic works celebrate Koyasan’s 1,200th anniversary. The paintings will tour major museums throughout Japan until they are installed as fusuma (sliding doors) in 2020.